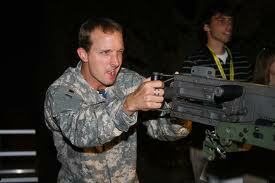 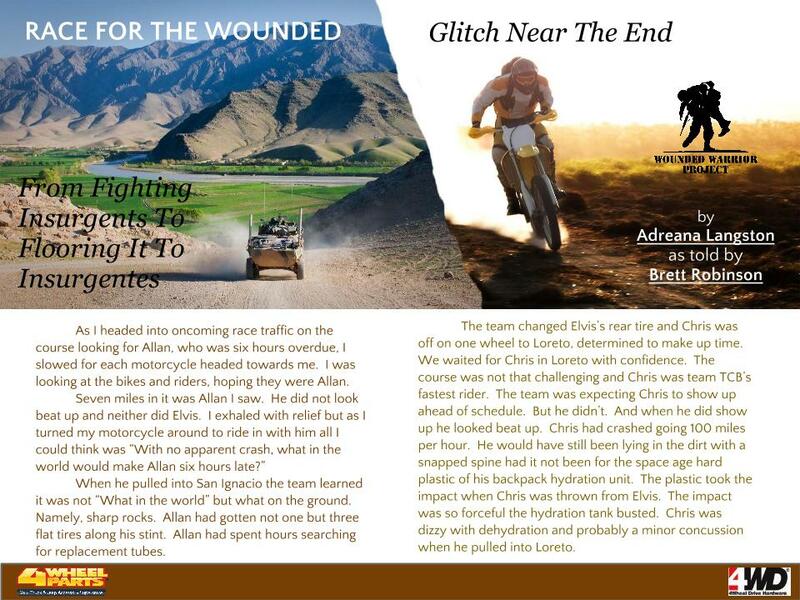 Race For The Wounded Article 9 gets down to the wire for Team TCB. 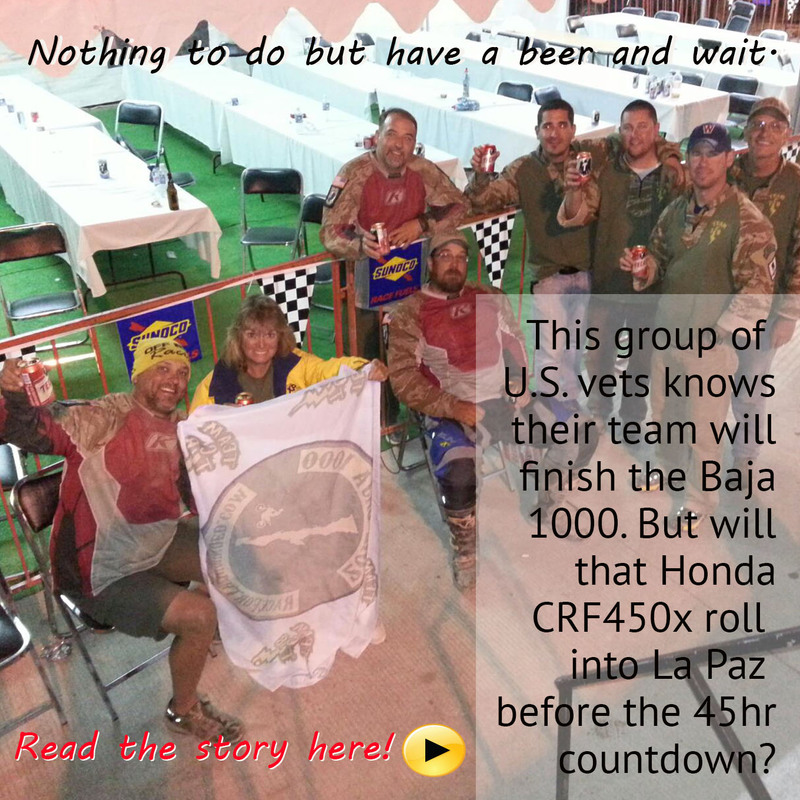 Could a team of Iraq and Afghanistan veterans form a motorcycle team to race the Baja 1000 on a Honda CRF45ox, make it through trials and tribulations and then lose it all in the last stint due to a flat tire? 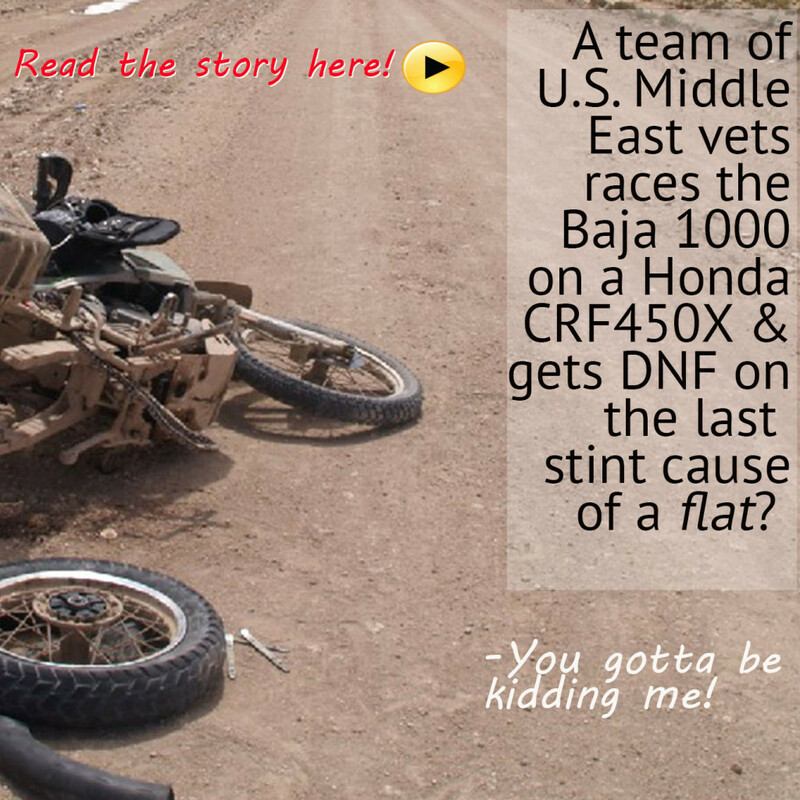 Read the entire Race For The Wounded Article 9 here.